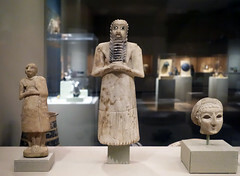 Prehistory ends with Uruk, where we find some of the earliest written records. This large city-state (and it environs) was largely dedicated to agriculture and eventually dominated southern Mesopotamia. 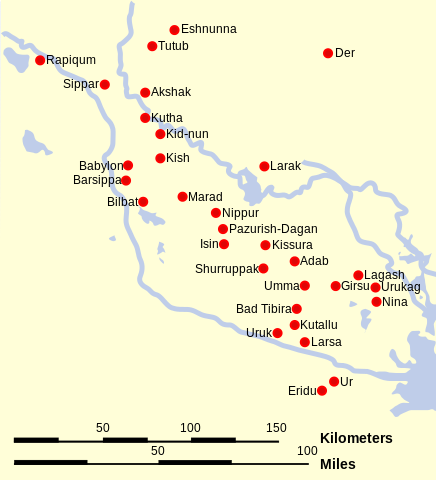 Uruk perfected Mesopotamian irrigation and administration systems. 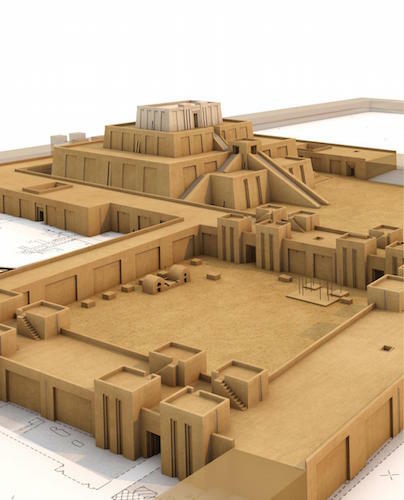 Within the city of Uruk, there was a large temple complex dedicated to Innana, the patron goddess of the city. The City-State’s agricultural production would be “given” to her and stored at her temple. Harvested crops would then be processed (grain ground into flour, barley fermented into beer) and given back to the citizens of Uruk in equal share at regular intervals. 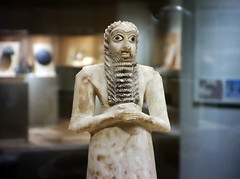 The head of the temple administration, the chief priest of Innana, also served as political leader, making Uruk the first known theocracy. We know many details about this theocratic administration because the Sumerians left numerous documents in the form of tablets written in cuneiform script. It is almost impossible to imagine a time before writing. However, you might be disappointed to learn that writing was not invented to record stories, poetry, or prayers to a god. The first fully developed written script, cuneiform, was invented to account for something unglamorous, but very important—surplus commodities: bushels of barley, head of cattle, and jars of oil! The origin of written language (c. 3200 B.C.E.) was born out of economic necessity and was a tool of the theocratic (priestly) ruling elite who needed to keep track of the agricultural wealth of the city-states. 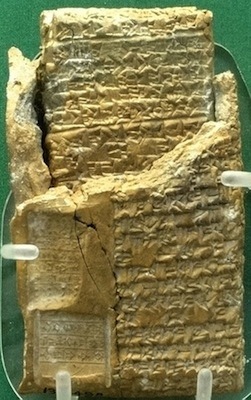 The last known document written in the cuneiform script dates to the first century C.E. Only the hieroglyphic script of the Ancient Egyptians lasted longer. A single reed, cleanly cut from the banks of the Euphrates or Tigris river, when pressed cut-edge down into a soft clay tablet, will make a wedge shape. The arrangement of multiple wedge shapes (as few as two and as many as ten) created cuneiform characters. Characters could be written either horizontally or vertically, although a horizontal arrangement was more widely used. Very few cuneiform signs have only one meaning; most have as many as four. Cuneiform signs could represent a whole word or an idea or a number. Most frequently though, they represented a syllable. A cuneiform syllable could be a vowel alone, a consonant plus a vowel, a vowel plus a consonant and even a consonant plus a vowel plus a consonant. There isn’t a sound that a human mouth can make that this script can’t record. Probably because of this extraordinary flexibility, the range of languages that were written with cuneiform across history of the Ancient Near East is vast and includes Sumerian, Akkadian, Amorite, Hurrian, Urartian, Hittite, Luwian, Palaic, Hatian and Elamite. 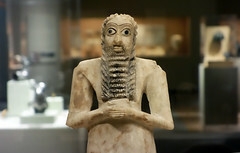 Cite this page as: Dr. Senta German, "Sumer, an introduction," in Smarthistory, June 8, 2018, accessed April 21, 2019, https://smarthistory.org/sumerian-art-an-introduction/.